are the latest generation accommodation, designed to accommodate those who love contact with nature but still want the comfort of today. 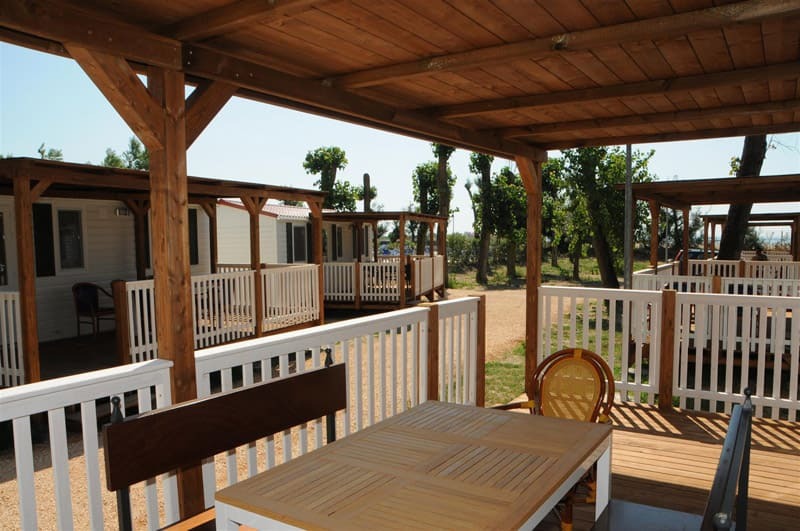 It is housing units adequately insulated, equipped with air conditioning, satellite TV and large covered front porch, entirely made of wood and decorated with benches and tables, where you can eat comfortably outdoors. 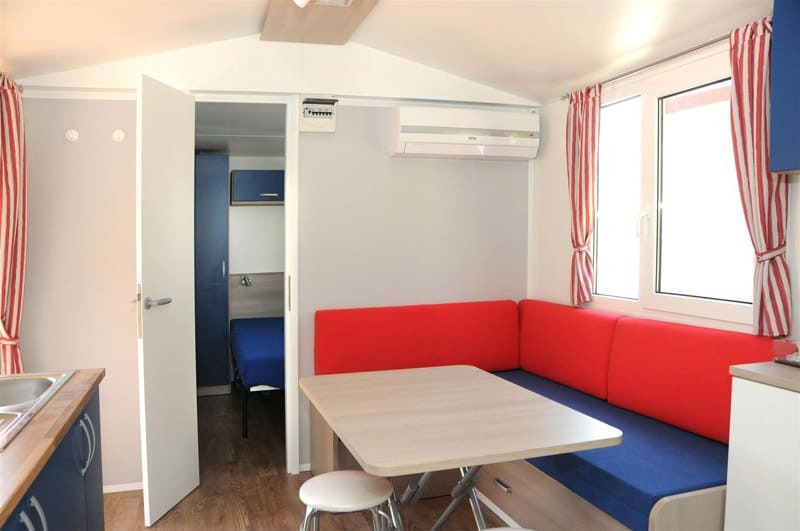 The unit is equipped with furniture and the kitchen is equipped with cookware and basic cutlery and a refrigerator column with separate freezer and big enough. We provide sheets and blankets for the beds in case of minimum stays of a week. We do not provide bath towels. Car parking a few meters from the houses. They can accommodate a different number of people depending on the model. 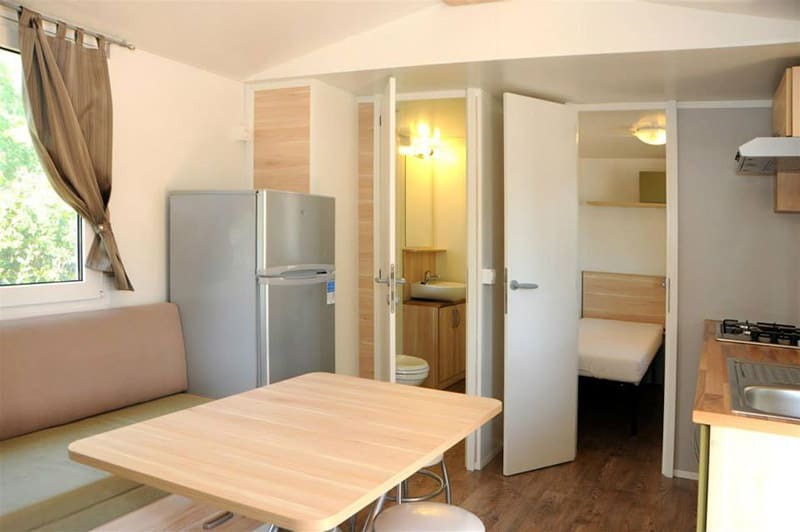 consists of a kitchen, a bathroom with toilet, sink and shower and two bedrooms, one with a double bed and the other with two single beds. For the fifth person there makes use of the sofa bed. 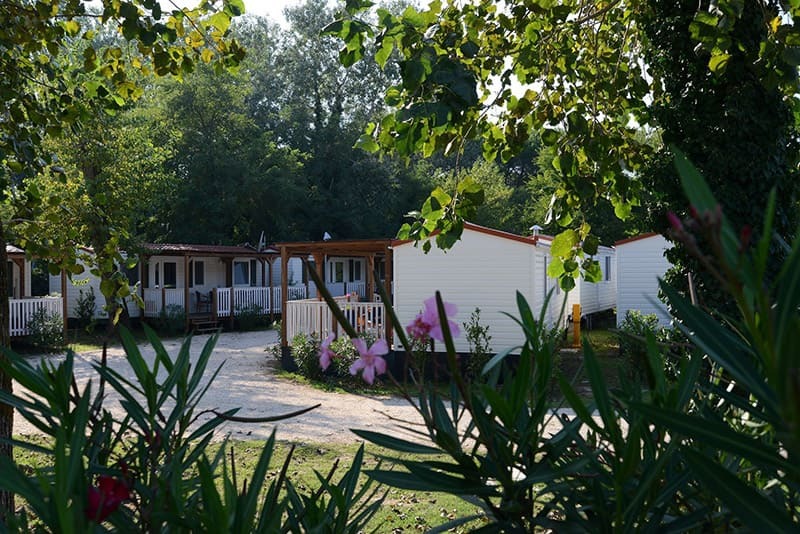 This model is placed in two different parts of the campground, in the meadow incoming and in the pool area. consists of a kitchen, two bedrooms and two bathrooms with toilet, sink and shower. One of the bathrooms is inside the room with double bed. The other bathroom is near the second bedroom, which is equipped with two single beds. Moreover, the sofa bed provides two provisions, one to accommodate an adult person and the other to accommodate two children.